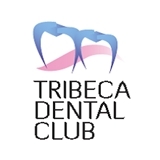 Tribeca Dental Club (New York) - Book Appointment Online! At Tribeca Dental Club we strive to meet and exceed our slogan, "A Whole New Approach To Dentistry". Why? In addition to our exceptional care for every single individual that attands our dental practice, our mission is to preserve your natural tooth structure; to treat the teeth and gums so that they could be adequately preserved without the reccurrences of issues. Your needs are our proirity, and no patient is overlooked and never rushed! With our state of the art facility, our true mission is “prevention”: we actually solve your past and current issues so that they are no longer concerns. We can reassure you that our your halth and well being is our true priority, and we would love to see you here and you attain a beautiful smile. We are happy to accept most insurances, as we are in network with most. I've been seeing Dr. Boujaran for over a year now and she's been nothing but wonderful as my dentist. I had a terrible experience at another dentist and she has helped me correct the issues that arose after the other dentist and has a holistic approach that I appreciate. Highly recommended!